Even for a food manufacturing company, food research and development is not always an easy process. A food production company often has facilities designed only for long production runs, not the small batches needed during the testing phase of development. That, in addition to the fact that PacMoore protects its customers by refusing to create its own products and brands that would compete with them, is why many leading food developers rely on PacMoore as a food development contract manufacturing partner. As one of the top food development companies, PacMoore has the personnel, equipment, experience and willingness to work with you side by side to run trials and fine-tune ingredients and processes until we achieve the results you want. 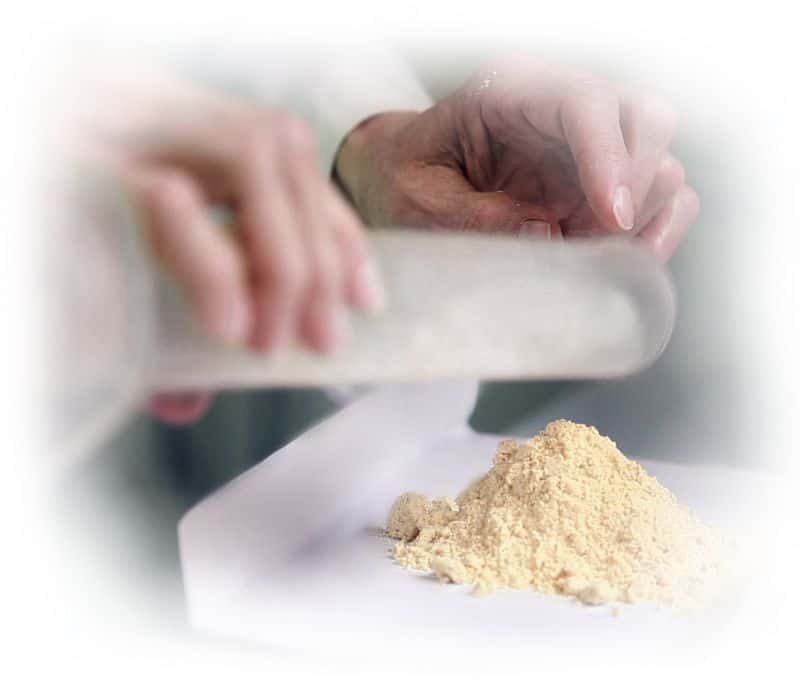 Since we are in the contract food development business, we are set up to handle the frequent small batches and short runs necessary for the fine-tuning stage of food product development. After the pilot phase, we move to full-scale runs that assist you in bringing the new products to consumers. PacMoore has a full range of pilot equipment for food processing research and food product development, including a ribbon blender, plow blender with chopper blades, spray dryer and extruder. We work with your team to establish specific processing parameters, create samples and scale up economically into production. When the time is right, PacMoore can continue assisting you with full-scale, production-quantity runs, helping you validate your process and ensure regulatory compliance while reducing time to market. We work hard to help you bring innovative new products to customers and consumers. As your food research and development manufacturing contract partner, our experienced team, which includes a certified food scientist, is there to help. We take great care in fine tuning ingredients and processes and we will run as many trials as it takes to find the right solution for your manufacturing needs. Our team of experts stays current with food industry trends and regulatory requirements so you can call on our expertise throughout the entire process. Our sole focus as one of the top food product development companies is working with you to get your products right, and we bring all of our expertise to the task. We don’t have to juggle equipment and set-ups to accommodate both commercial-quantity and development-quantity runs. And since we don’t develop our own food products, we don’t have to pass along the high costs of a full-scale R&D department to our customers. As a member of the Purdue University Department of Food Science Industrial Associates program, our team has access to Purdue’s acclaimed research facility and state-of-the-art equipment to supplement our own pilot equipment. That means as our customer, you have access to world-class expertise in food development. We stay on top of shifts in preferences and trends to add as much value as possible throughout the process. Creating innovative new products helps ensure that your food manufacturing company will continue to grow. But for any R&D project, you must ask yourself whether you have the right equipment and the right people to complete the multiple meticulous trials necessary to get the formula and process just right. Can you afford to interrupt your production cycles for repeated test lots, or is it more efficient for your food developers to work with PacMoore to perfect your product? Partnering with PacMoore is the easy way to get your food product ready to market without disrupting your existing production processes. 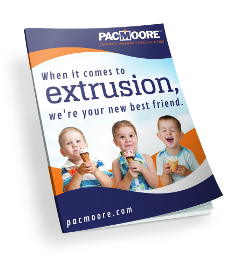 With PacMoore, you have easy access to the right expertise, the right equipment and as many trials as are necessary. To find out how PacMoore can help your food development process, contact us today. Do you have additional questions for our Research & Development Department?